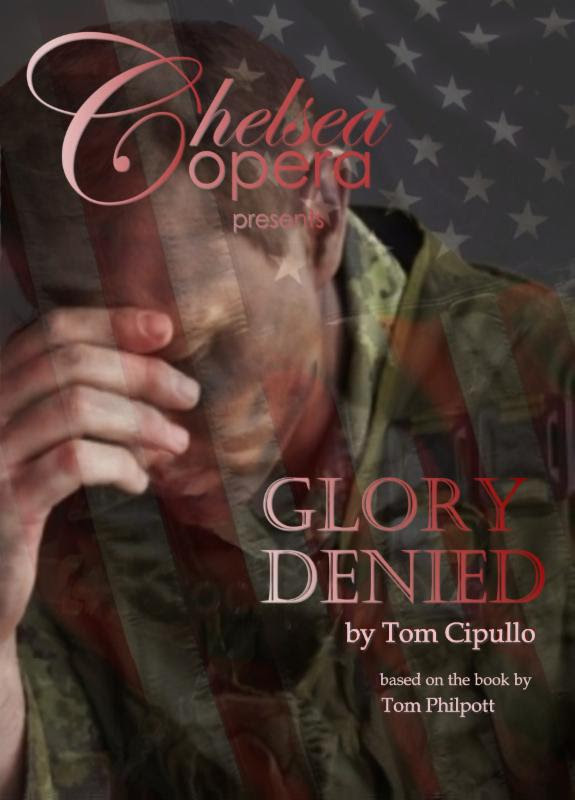 Chelsea Opera Presents: "Glory Denied"
Glory Denied is the true story of Col. Floyd "Jim" Thompson, the longest held P.O.W. in American history. Through words and music, this gripping and dramatic tale comes to life, giving insight into Thompson's inner thoughts, as well as that of his wife, who was left back home to wonder if he was dead or alive. Col. Floyd "Jim" Thompson of the United States Army Special Forces was captured in 1964 when his reconnaissance plane was shot down near the Laotian border. He was held prisoner for nine years, five of which were spent in solitary confinement in jungle camps throughout Vietnam. He was finally released in 1973. These events were chronicled by Tom Philpott in his book Glory Denied, which Oliver Stone described as "one of the most honest books ever written about Vietnam." Glory Denied, an opera written by Tom Cipullo, was adapted directly from Philpott's book. It tells Thompson's story of survival against the odds and of the disintegration of his life once he returned to the United States. Of Chelsea Opera's 2010 production, The New York Times noted: "One of the work's immediate attractions is the efficiency of its structure. Instead of presenting the Thompsons' wrenching history as a straight narrative, Mr. Cipullo tells it as a dialogue between past and present, with actions and their implications shown almost simultaneously." Opera News declared that Chelsea Opera "did beautiful work with [Tom] Cipullo's score" of Glory Denied. The events are free to active military and all veterans receive a special discount on tickets.